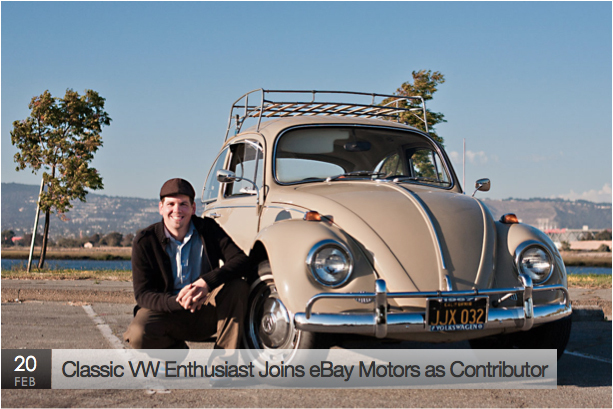 A quick mention about my joining the eBay Motors blog as a contributing writer. I’m pretty excited about this and hope it further spreads the word about these fantastic old cars. I’ve realized over the last 2.5 years of running 1967beetle.com just how much I love storytelling. What better candidate for a story than a vintage Volkswagen?! Wow, cool, Eric. I’ve never heard of eBay motors blog. If it has anything to do with VW’s (especially ’67’s), I’ll have to check it out. I’m going to help them with their vintage Volkswagen content. Hope you’re going well! The twins will be here any day now..
No, thing here will remain as normal. I’m just going to help them with their vintage Volkswagen content. 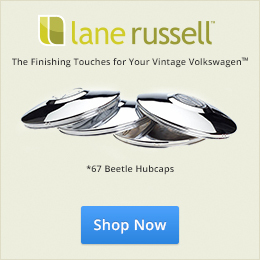 1967beetle.com will keep growing. :) Thanks for the support. Just so very glad you keep the ole girl alive. Many wonderful memories in that car with your Uncle Don. Another one of our favorite bands was Ted Nugent. We played a lot of that on the 8 track in that car as well. Snakeskin Cowboys indeed!